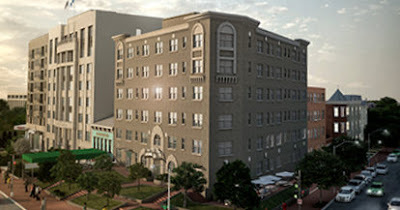 Heritage Foundation Expands In DC - Joe.My.God. The Heritage Foundation is vastly expanding our presence in Washington D.C. — the belly of the beast. Our headquarters in the heart of Washington, D.C. is just two city blocks from the Senate offices, three city blocks from the Capitol building, and three city blocks from the House offices. It’s from this base that we will wage a policy war with the Left and the Establishment at very close range. In politics, proximity matters. That’s why our physical presence is key and that’s why expansion is critical to future conservative victories. In short, the Freedom Center will be a beachhead from which we can advance your principles in Washington from inescapably close range. And that’s why a generous donor has offered to match every gift to this campaign, dollar for dollar. That is why we must meet our $1 million goal by August 18 to build The Heritage Foundation Freedom Center—the physical epicenter of the conservative movement in America. These funds will be used to jump-start this critical project to secure our movement’s future. And thanks to a generous Heritage supporter, your gift by August 18 to restore liberty in our nation’s capital will be doubled. The Heritage Foundation was co-founded in 1973 by late Coors Brewing president Joseph Coors. In January 2013 Jim DeMint resigned from the US Senate to become their president. 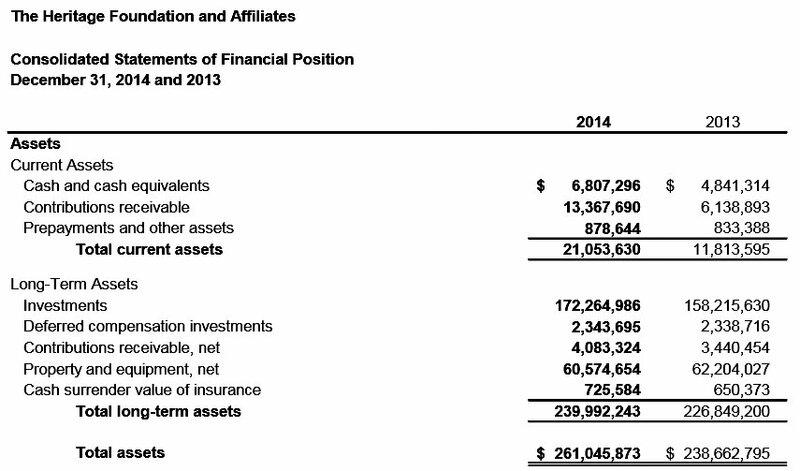 According to their 2014 financial report, they had over $261 million in assets.